Start with sugar snap peas and take them over the top with the addition of spicy cream cheese and fresh mint - simple snacking at its best! 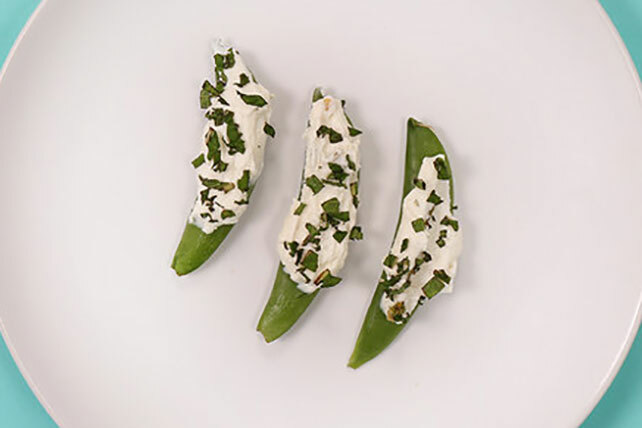 Spread snap peas with cream cheese product. Prepare using Philadelphia Garden Vegetable Light Cream Cheese Product.